"I've been using Bartolini Pickups and Electronics for many years now. They give a very versatile and deep sound with a great punch. Perfect for playing Flamenco"
Was born the 29th of June in 1966 in Buenos Aires, Argentina. Starts playing the guitar by himself at 8. In 1983 player also the bass in Argentine rock bands around his neighborhood and in different Argentine folk-fusion projects. Starts studying the instrument in 1984 with bass player Bucky Arcella, together with musical theory and harmony at Walter Malosetti’s Jazz School. Goes to Paris in 1989. Moves down to Spain, Galicia, in 1990, where he plays in several ball orchestras in the city of Ourense while he studies at the Estudio Escola de Música of Santiago de Compostela. Meets flamenco guitarist Marcos Teira two years later, with whom he starts playing and learning flamenco at the same time. He also participates in several workshops of Cuban and jazz music. 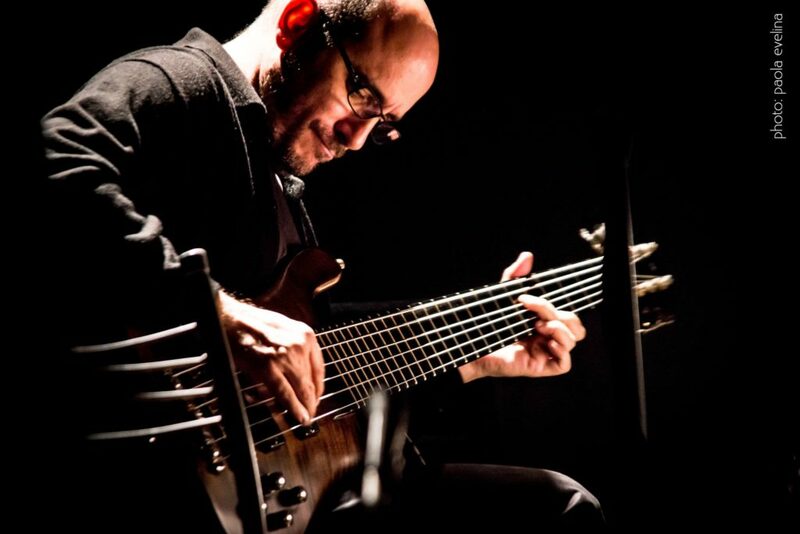 He starts touring with the “Marcos Teira Cuarteto” and giving bass classes in his own studio. 1994, moves down to Barcelona and attends bass classes with Carles Benavent, Rafael Cañizares as he goes more deeply into harmony with Jordi Torrens. Participates in more Cuban music workshops and makes part of improvised music orchestra I.B.A under the direction of Agustí Fernandez, where he plays with several musicians as Wade Matthews, Peter Kowald, Le Quan Ninh, John Butcher, Buth Morris, Wolfgang Fuchs among others. Keeps on working as a session musician in different productions and projects since his arrival in Barcelona. In 1997 flamenco guitarist Juan Manuel Cañizares calls him up to make part of his band together with Rafael Cañizares, Domingo Patricio and Roger Blavia. Martos also plays with Enrique and Estrella Morente, Bulgarian Voices, Montoyita, El Paquete, el Negri, El Bandolero, and in several projects of musicians as Miguel Poveda, Duquende, Blas Córdoba, Juan Gómez “Chicuelo”, Juan Ramón Caro, Guillermo Mc Guill, Antonio Serrano, Joan Albert Amargós, Jordi Bonell, Enildo Rasúa, Ángel Pereira, Nan Mercader, among others. He combines the playing with giving master classes and workshops in schools and universities in different parts of the world. Also collaborates in bands as “Sabor Cubano”, “Trío Argentino de Tango”, “Cajón Manía”, Marcelo Mercadante Quinteto. In 1996, he is offered to give bass classes at the music school Taller de Musics of Barcelona. Makes part of percussionist Martí Perramon´s project, the “Ektal ensamble”, together with Benet Palet, Tom Johson, Jaume Maristany, Martí Serra, Marcelo Valente, Quico Samsó, Ferran Fages, and Abdeljalil Kodssi. 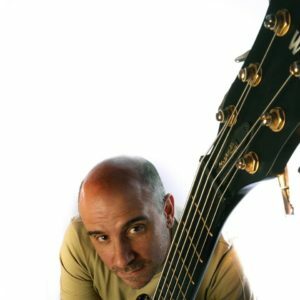 In 2002 he finishes his own record, “Un compás antes que suene el despertador”, and starts producing other musicians and bands for his own label (created in 1999) “MaMa Producciones”, together with Valentí Adell and Marcelo Valente. Has two trios in 2003: “Triángulo do Mar” with Joâo Balâo and Marcelo Valente, and “M.B.M” with Barbara Togander and Marcelo Valente as well. In 2006 he makes part of musician Fran Perez´s musical project, “Bumba”, that gathers musicians from Galicia, Mozambique and Argentina. Creates “Animales Domésticos” (Great Britain) together with guitarist Barry Edwards and drum player Marcos Vazquez He makes part of a project that mixes flamenco style with symphonic orchestra in 2007 and records “Cante i orquesta”, under the directions of Miguel Poveda, Chicuelo and J.A.Amargós. Also makes part of dancer Roxane Butterfly´s project “Djellaba Groove”. In 2008, he published the first book of flamenco bass: “Flamenco Bass Method” released by RGB visual arts of Madrid. In 2010 he published the interactive DVD: “Flamenco Bass Clinic” and in 2013 he published, the Volume 2 of “Flamenco Bass Method”. Martos tours with flamenco guitarist Juan Gómez “Chicuelo”, introducing last record “Diapasión”, during the second half of 2008. 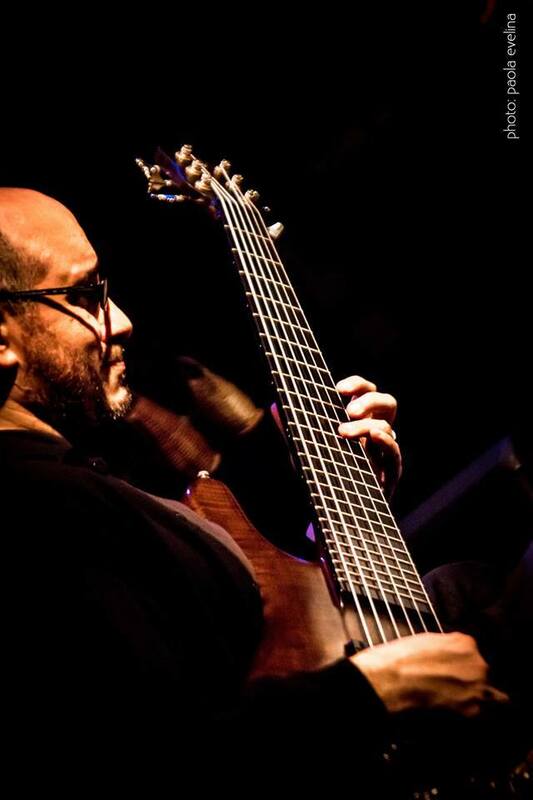 In 2009 until the present day, he plays with several Argentine flamenco musicians as guitarists Hector Romero and his ensemble and Rodrigo González Quinteto, among others. In the same year, starts an online classes. 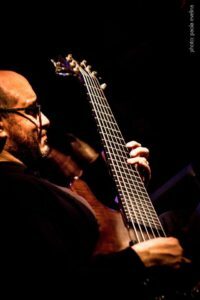 Starts tour in Europe and United States in 2009/10/11/12/13, giving flamenco bass workshops at the “ESMUC” in Barcelona, “Berklee College of Music” in Boston, USA, “Community Music Center” in San Francisco, USA, “Codarts”, Rotterdam Conservatory, Holland, among others.